Tyler loved his family and always looked forward to extended family gatherings in Windsor, Toronto, Pickering or Calgary. Tyler had a wonderful personality, outgoing and confident. He was a boy with a golden heart. 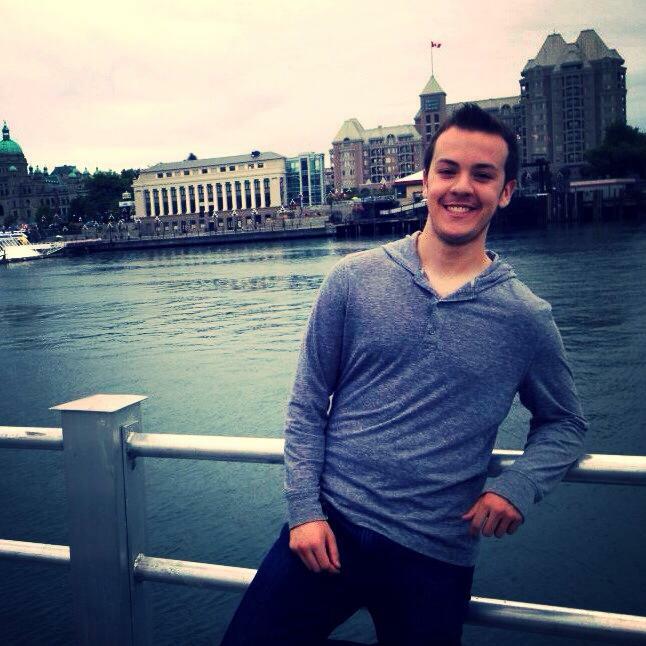 Tyler attended the Sales and Marketing Program at Niagara College where he made many friends and was involved in the local Enactus chapter helping local charities and businesses in St. Catharines. He was part of a team from Niagara College who participated in the 2013 Ontario Colleges’ Marketing Competition winning an award for the Integrated Marketing Communications case study. Tyler was doing very well in his studies, often being well ahead on projects or assignments and only too happy to help others when needed. His energy had no bounds and he had a passion for laughter. Tyler approached everyday looking for a laugh and having as much fun in the moment as possible. Tyler was the master punster in our family and he truly enjoyed getting a laugh and making people laugh. The standard comeback to this constant barrage of puns of course is… “Tyler, that pun was like paper, tearable!” Tyler was always the clown in the family and in the class. He truly did live in the moment.